This issue, we're trapped in the dreams of Beautiful Dreamer! 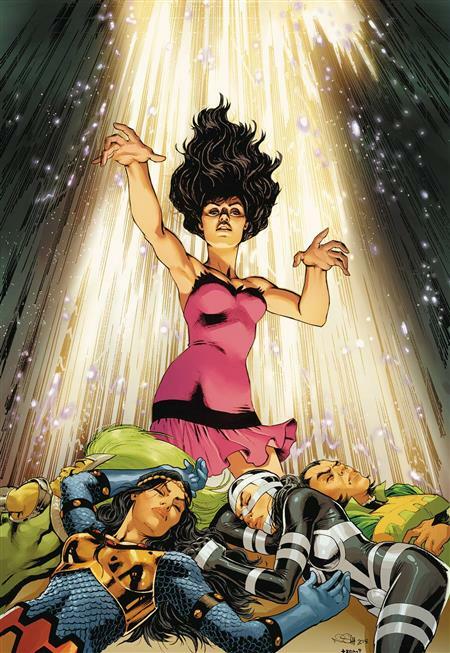 The Forever People are Apokolips' Most Wanted, and bringing one of them to the planet is treason all unto itself, so the fact that Granny's plan to brainwash her Female Furies has backfired, Beautiful Dreamer is on the loose and the rogue Fury Aurelie is to blame can't be good for anyone. Can Granny track down these fugitives before Darkseid discovers that his warrior women are the source of his army's recent troubles in the war against New Genesis?